It has just been announced today that Doxford Hall Hotel, part of the Robert Parker Collection of hotels, will welcome back the Chapterhouse Theatre Company for the second summer running. 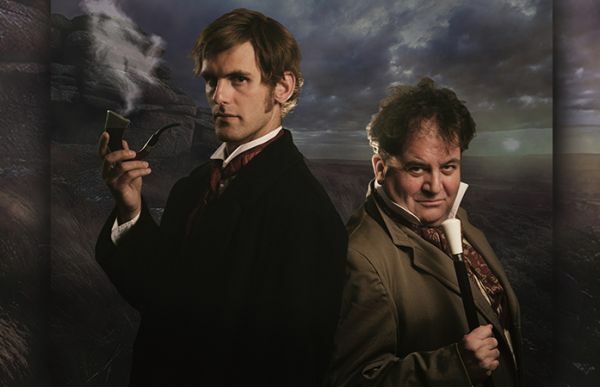 This year’s open air performance of Sherlock Holmes and the Hound of the Baskervilles is to take place in the walled garden on 14th July. Back by popular demand, last year the Chapterhouse Theatre Company performed Shakespeare’s A Mid Summer Night’s Dream to a packed audience at the renowned country house hotel. The Company have been delighting audiences since 1999 with their inventive open air shows around the UK and Ireland. Bring a picnic and your best detective skills for an unforgettable evening of mystery, suspense and theatre under the stars. The performance will begin at 5.30pm, and anyone interested in purchasing tickets should contact Doxford Hall on 01665 589 700. Doxford Hall, located less than 10 miles North of Alnwick, is one of the more recent additions to the hotel sector in Northumberland and has received much acclaim in the six years since it opened. With ample parking and wonderful grounds Doxford is the natural location for such an exciting event. Tickets, which can be booked online at Chapterhouse’s website, or via the Hotel are Adults £14; Children £10; and a Family of 2 adults and 2 children £42. Go to http://www.chapterhouse.org/news.html, or ring Doxford Hall on 01665 589 700.